Here’s the stark reality: Over the past decade, Bermuda has consistently ranked at the top for the number of road traffic fatalities per 100,000 population in the developed world. Yet, little has been done to tackle the problem.Based on recorded data over the past seven years, at least 1 in 5 Bermudians ended up at the hospital for road crashes. This experience, often casually termed as ‘getting a piece of the rock’, needs to be viewed as an unspoken epidemic demanding urgent attention of its people. 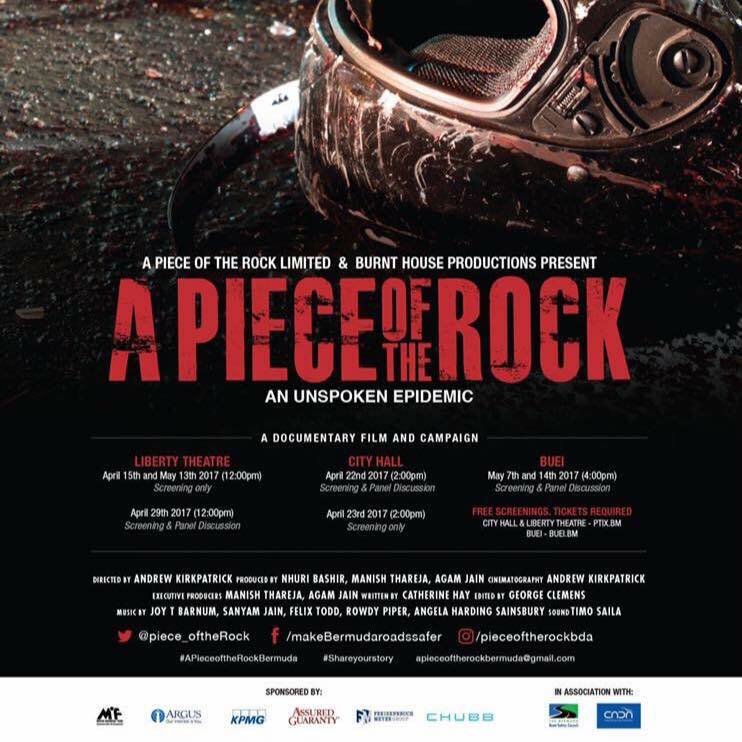 ‘A Piece of the Rock’ is a new, hard-hitting social media campaign and road safety documentary, which assesses the scope of this national crisis and what can be done to address it. 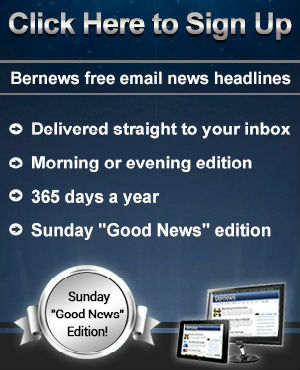 Under the campaign, the first piece of this two-part article attempts to highlight the true reality of Bermuda’s road safety condition. According to the ‘Health in Review’ report 2011 by the Bermuda Health Council, the rate of traffic fatalities per 100,000 population was 28.2 in Bermuda, compared to 9.2 in OECD [Organisation for Economic Co-operation and Development] countries. That same year, the US had 15.4 deaths per 100,000 population and the UK had 5.6 deaths per 100,000. 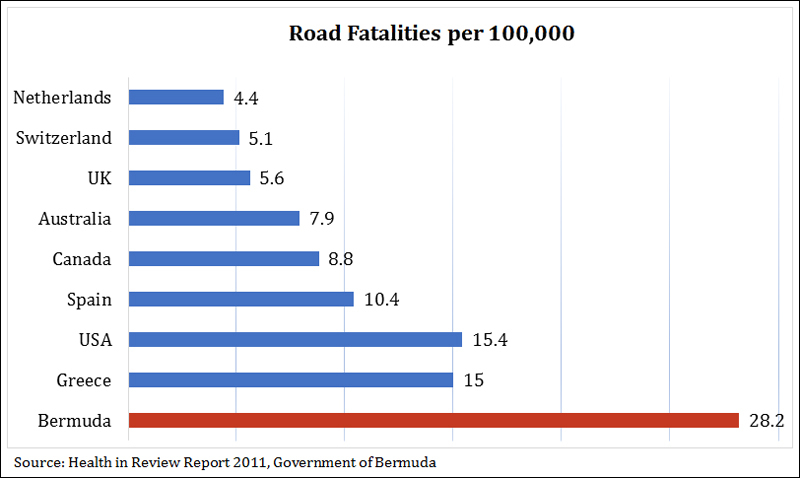 Bermuda’s road fatality rate per 100,000 population was double compared to even Jamaica’s road fatality rate. A more recent analysis from 2013, of road fatality rates shows that while the rates have declined for all countries, including Bermuda, the gap between Bermuda’s road fatality rate compared to OECD countries has widened. As scary as these statistics seem, they still fail to give us the complete picture capturing the urgency of the situation. For every one road fatality reported on our roads, there are over 200 people who are seriously injured each year, sustaining injuries such as loss of limbs, paralysis, fractures and brain damage. Yet, these cases are seldom reported or in focus. The psychological and socio-economic impact of these crashes on the person and their families has never been quantified. Between 2009 and 2015, nearly 13,000 people landed in the ER as a result of road crashes, resulting in 43 million dollars in medical expenses. However, these costs do not account for overseas specialized care, rehabilitation and lost wages which also run in the millions. Dr. Joseph Froncioni, an Orthopaedic Surgeon and Former Chairman of the Bermuda Road Safety Council, has successfully advocated for tougher laws on sobriety testing. However, existence of laws alone wouldn’t ensure a change. Efficient enforcement of these laws through strict policing and actually stopping and testing drivers and riders is required. “One thing I learned pretty early on in my road safety campaigning is you can have as many laws as you want, but unless they are implemented and enforced they are just ink on paper.”, says Dr. Froncioni. One of the factors that contribute to our high road fatality and crash rates is the large number of people in Bermuda who ride motorbikes.“Bikes are inherently more dangerous” Dr. Froncioni said. Alison Bardgett, the Newly Appointed Chair of the Road Safety Council, points out that we have little in the way of training that is required before a rider is prepared for the roads. She said, “In other countries where Graduated Licensing Programmes are legislated, road fatalities have decreased rapidly and significantly. In Bermuda, we have gone from 47,635 vehicles on the roads in 1996 to 91,216 vehicles as of December of 2016. Road safety measures need to catch up with this rapid increase in the number of vehicles. Inspector Robert Cardwell, Roads Policing Unit, points out that while speeding and drunk driving are huge problems, we also have to tackle with a number of people who are simply not paying attention while driving. He said, “Driving and riding have become so routine we don’t think about what we are doing, we think about where we are going instead and enjoy the ride with nice leather seats and music blaring. People need to take ten seconds before they start their ignition to clear their mind. You have to be aware of what’s happening and what could be under that bad driving behaviour. “That could be everything from overtaking carelessly to not using indicators. You also have to remember you are about to be in control of a potentially lethal weapon [a vehicle] that could kill you or someone else. One of the challenges is reaching out to people with the right information. Alison Bardgett points out that other countries that have successfully reduced their road fatality rates have had to focus on the causes such as drunk driving and speeding. “Europe drastically changed the drink/driving behaviour through legislation and heavy penalties resulting in zero tolerance for drinking and driving,” she said. In the UK, she said, there was much push back after rules became stricter on drinking and driving in 1966. “Many pubs closed down over the next decade as the drink/driving culture changed and people complained loudly, but the number of fatalities over the last 20 years caused by drinking and driving drastically reduced, and now it is an accepted norm to have a designated driver if you are out drinking. It is socially unacceptable these days to drink and drive in Europe. Bermuda has laws, but it seems they are not as strictly enforced as I have seen in Europe and Canada”. Can we also tackle the conditions of the roads as well please? They are being improved, but do not ever use that as an excuse for bad or drunken driving. When you’re drunk and/or speeding you probably won’t see the pothole. When you’re sober you would see it and avoid it. Down in the west end (right before reaching the AC Village) they are actually making roads a lot worse after re-paving, no comment from the Minister? The combination of more bikes then cars , roads that are not straight boarded by stone walls or trees set us apart from other jurisdictions. Why don’t we have sobriety checks in place yet is mind boggling . The OBA always says they are doing the people’s business why not address the the non controversial issues one time and actually make yourself look good for a change. There are many other low hanging fruits that should also be easily addressed like parking tickets, clamping of cars and tax evasion. Most places in Europe have narrow tight twisty roads and people seem to be able to do all right. Another major problem is the lack of a unified speed. Most people are comfortable around 50 – 60 kph. Which, in my opinion, is a safe speed for the majority of Bermuda’s major roads. The problem is when people get stuck behind the ones who want to drive between 30 – 40 kph. I’m sorry but that is just too slow for 2017. I don’t care if the legal limit is 35 kph. That speed is just stupid. The bicycle riders coast faster than that. So people get frustrated behind these slow drivers and that is when a lot of careless overtaking occurs. Take that how you want to but that is reality. Give us a decent speed limit and enforce it constantly. Have a Roads Policing Unit that actually polices the roads. Otherwise, things will never change. People have less time than ever before. No one is going to slow down or leave earlier. Stop dreaming and move into the current century. Driving Drunk is acceptable here! Why change? “How else are we gonna get home after boozing it up?” Until we quit making shyte decisions to drive ourselves home when we are well hot, things won’t change. If you choose to drive drunk, you are choosing to take the risk of death (and that’s fine with me if you are on a suicide mission) but what about those you selfishly leave behind? Or what about those innocent lives also on the road that you happen to take out with you? Go ahead, kill yourself, but don’t make a mess and don’t hurt anyone else in the process. Excellent comment, Just the facts. You really have to wonder why alcohol, and those who abuse it and drive, are not dealt with seriously, part of it is that almost everyone, including those who write the laws and those we rely on to enforce them , drinks themselves and are looking the other way, wink wink, nudge nudge. The fact that ” a vast majority of people who end up in our emergency room drunk as skunks never get tested for alcohol” is clearly the reason why no accurate itemized statistics exist for an educated assessment of the effects of DUI. The whole system in place is a joke and judges vary from 800 bucks and a year off the road to $1500 and and 18 months, a review of cases in the media show serial DUIs’, crashes, chases or being 4 times the allowable limit has no bearing on the judgement. Funny how those demanding the law be enforced on protesters breaking the law, don’t have a thing to say when it is revealed that police have shirked their duty when it came to enforcing the law for the last 20 years concerning testing obviously impaired “accident victims” at hospital never mind on the streets with thousands driving drunk all over the island. Drunk driving is old news . Have you been around for at least the last 30 years or more ? Fortunately the sensible majority have become more responsible and modified their behavior but that’s not to say that there are others who have yet to. The unrecognized ‘new problem’ is all the people driving stoned out of their minds absolutely out of control jammin’ from their suppliers to their ‘safe house’ and then back again for more repeatedly . To much pressure on people today in this fast-paced world. It irritates me when I see a slow car causing a back-up of vehicles on the road. No courtesy to others’ schedules. Either speed-up or pull over to let vehicles pass. Speed limit to slow. Slow drivers do cause aggression with some. We need to come up-to-date. We are still living in the standards of 50 + years ago in a world that has drastically changed. We still can show courtesy with a higher speed limit and have slower ‘speed zone legislation ‘ around schools, lane closures for work and Population centers like Flatts, Somerset Village , Heron Bay, etc. Oh of course. The overturned cars driven through walls by idiots are all caused by other people who are driving too slow. How silly of us not to realize that. The heads in the sand are mind-boggling. Here’s some news for you. Other jurisdictions have some roads that are not well-maintained, yet they have fewer road deaths. other jurisdictions have roads that are not straight, and which have walls. yet they have much fewer road deaths. Other jurisdictions have slow-moving traffic, and people who are always in a hurry to get somewhere. yet they doing without killing as many people per capita as Bermudians. The difference is the fact that many Bermudian drivers have no common sense, no patience, no courtesy, and they mostly have much less skill than they think they have. Spot on. We need more aggressive policing on the roads, mandated daytime running lights, and much harsher financial penalties for dangerous driving. And we need more and much better trained police, who are some of the worst drivers on the road! Oh they have driving skills alright. That’s the way the world is. Pull it up and listen. We are our own worst enemy. In the 70s / 80s there were strict size laws for our cars and bikes. These were relaxed in the 90s and now we have cars that are too wide for our roads and bikes that are too fast. We are a holiday destination and our culture is one of ambivalent fun. I remember in my youth getting on my moped with its pedals and wicker basket having had a few too many and the worst that could have happened to me was I’d wake up the next morning under a hibiscus bush. Losing my life wasn’t even considered because (I) there weren’t as many vehicles on the road (ii) everyone was going at a slower speed. Sadly, we need to bring about a change in our culture or provide a public transportation system that encourages us to leave our vehicles at home when we’re out partying. Taxis are way too expensive. People are prepared to gamble with their lives to avoid the $75 it will take to safely transport them home. Buses are too infrequent with judgmental drivers and you have to have the right change or a pre-purchased bus ticket. Luckily for me, I’m grown up now but I become mum’s taxi on the weekend for my daughters because I recognize that kids will always party on this island, its keeping them safe that is the challenge. There is just no cure for stupid, and it’s inter-generational. Given the speeds that we are supposed to be driving those statistics are staggering. Bermudians simply do not know how to drive. On the other side of the coin our roads are terrible. It is not that they are rough. They are pretty good compared to many urban areas. No shoulders, walls, utility poles in the road, bushes, no banking on corners, poor sightlines at gates & intersections all add to the human mayhem on the roads. lets not forget the BPS, who are content with sitting in the bushes with the radar gun rather than get out & do some enforcement on bad driving habits. I’d like to see every road user who is found guilty of excessive speeding or drink driving given community service hours, in addition to their other penalties. If they are going to run the risk of taking out of society, then they should be willing to pay back in. There are a whole multitude of services/charities that could do with some extra help. It’s unconcionable that so many people die needless, tragic deaths on our roads. We all see it every day. Reckless driving everywhere. Drunk driving, (nudge, nudge, wink, wink…), speeding, passing in no passing zones, and far too few police officers working the traffic beat. We all know this is nothing new, its been going on since forever. How many people die on the roads versus the epidemic go gun crime? That should put things into perspective. Simply outstanding that the producers of this film have taken the bull by the horns. This grassroots approach can save lives. Respect to you for getting underneath this “unspoken epidemic”. Well the OBA don’t seem too concerned as they want to allow tourists to drive cars here. Until Bermuda stops covering up the role alcohol plays in road fatalities I don’t want to hear about this. That is the #1 reason but when it happens all you are told is that an accident occured. In the U.S. they will let you know that the rider/driver was drunk. I’d trust a tourists ability to drive a car over a Bermudians! We suspect that most are caused by driving under the influence of alcohol or some other substance but without any real tracking of every event, we really can’t say for sure. To even begin to address the problem, accurate data is needed but I suspect the people who stand to loose the most, financially speaking, would object to this. They would also resist check points outside of bars because that would be a revenue buster. We’ve been playing lip service to this for far too long. If the powers that be, was really interested in solving this problem, something would have been done already. They wont bite off their nose to spite their face. Expect more so-called speed crack down, instead of sobriety check points. Sound conspiratorial in that those charged with monitoring the problem have been derelict in their duty, and have straight refused to enforce the law passed in 97′. Some people feel that less than a dozen road deaths annually is a fair trade for sustaining bar owners and wholesalers revenues I guess. After every serious pre-dawn crash the call goes out for info regarding the persons’ whereabouts prior to the incident as if the bar they got drunk in will be held partly responsible, I can’t recall a case where the dealer was dealt with. The reason why the international vehicle driving license is not available in Bermuda is because the is no specific trained examiner here to train and the examine the Procedure.